What Should Be Noted When Eating Kale? Kale is a cruciferous vegetable in the same family as broccoli, cabbage and cauliflower, and it is a quite nutritional powerhouse. It is a dark leafy green rich in vitamins A, C, K, carotenoids, flavonoids and fiber. While it is great when cooked, raw kale can also be good, though there are something about raw kale to know before you enjoy it. Raw kale and other cruciferous vegetables, such as collard greens, cabbage and turnips, contain isothiocyanates, a compound that can block the thyroid enzyme TPO which is responsible for attaching iodine to thyroid hormones to make them active in the body. By blocking the iodine that your body needs, it causes the thyroid to get bigger because the cells overgrow, creating a goiter. 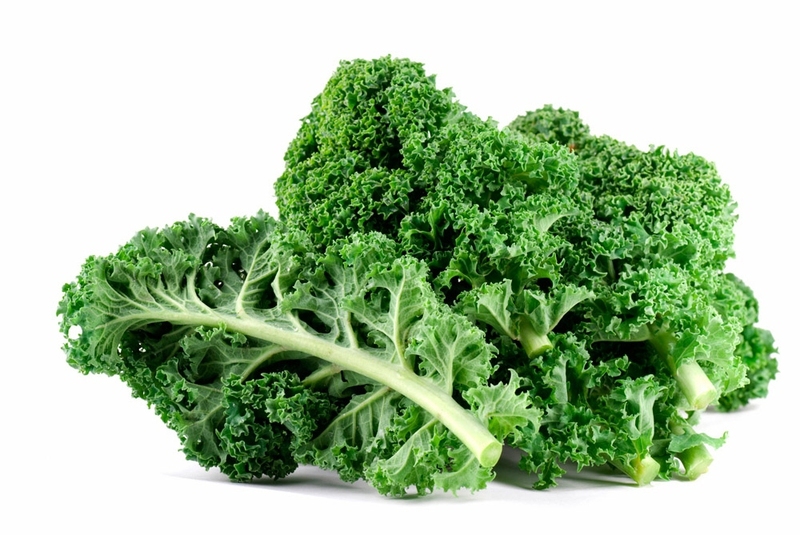 The compounds in kale that cause this enlarging of the thyroid are called goitrogens, and only exit while in raw state. If they are cooked or lightly steamed, this enzyme blocking is no longer a problem. But does this mean that you cannot eat kale or other cruciferous vegetables raw? No, eating raw cruciferous vegetables with one or two meals is fine as long as you have gotten enough iodine in the diet. While kale is a nutritional powerhouse, raw kale may cause some problems like what we have discussed above, so you should notice some points when eating kale. When cruciferous vegetables are cooked, it greatly lessens the actions of the enzyme that keeps iodine from your thyroid. Besides kale, other vegetables that should be cooked before being eaten include broccoli, collard greens, mustard greens, cabbage, Brussel sprouts, cauliflower, radishes, arugula and turnips. Kale and other cruciferous vegetables do not cause thyroid problems on their own, which can happen because of many potential facts like iodine deficiency. You can make sure you get enough iodine by including seaweed and other iodine-rich foods in your diet. Selenium is an important nutrient that helps support iodine levels in the body. Brazil nuts are an excellent source of selenium and adding one to a smoothie or on top of a salad may help keep selenium levels strong to support iodine levels. The best thing to do is to vary your greens on a daily basis. If you have kale or other cruciferous vegetables a few times a week, mix them up with non-cruciferous vegetables such as tomatoes, cucumbers, zucchini and carrots. A wide variety also ensures that you are getting all of the necessary nutrition.